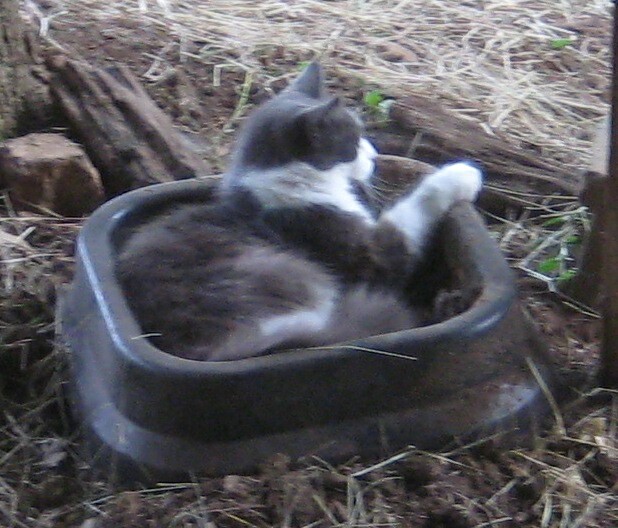 After I took this admittedly inadequate picture of Arthur in an old salt block holder, I moved in for more Cheezburger. This woke him up and he came over to see me. In trying to capture a moment, I destroyed it. When I was at a baptism, the font was blocked by eager relatives snapping the moment of immersion. It looked more like a media scrum than a religious ritual. 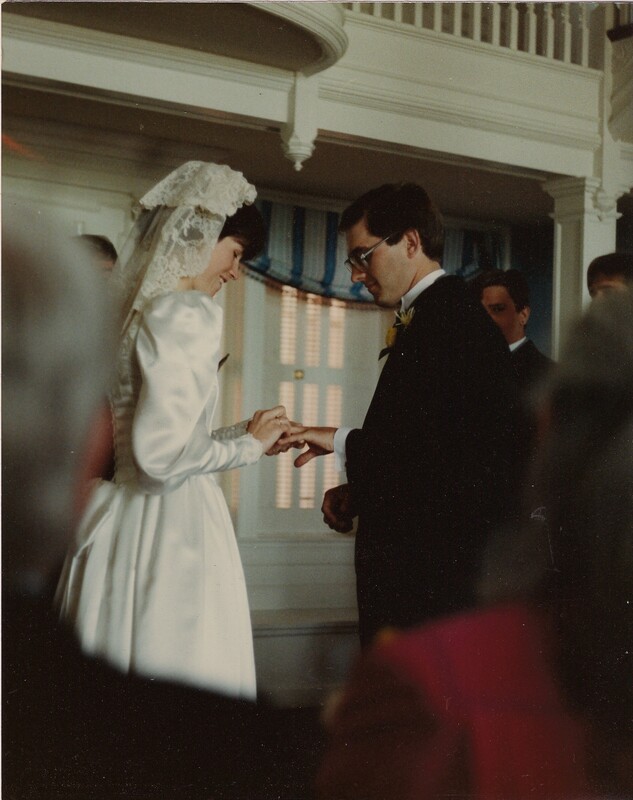 Yet, if my friend had not had her camera during my wedding, I wouldn’t have one of my favorite pictures (used Tuesday).The pink shoulder is my mother, black shoulder is my father, & this is one of a handful of pictures of two of them together. If discretion or secrecy is required, writers can take mental notes and perform a brain dump at the first opportunity. Until we can implant William Gibson‘s Zeiss-Ikon eyes to take visual notes, photography will be a balance between intrusion and posterity.